Grapes are picked and pressed. The juice is then fermented in the normal way that a white wine is produced. Before the fermentation is fully completed, the vats are chilled. Therefore, some natural sugar is still left in the wine. Then, the wine is bottled along with some extra yeast, and the yeast acts on the sugar in the wine and creates the fizz, i.e. carbon dioxide. This process can take two years. As the gas cannot escape and is held under pressure, it will dissolve in the wine. 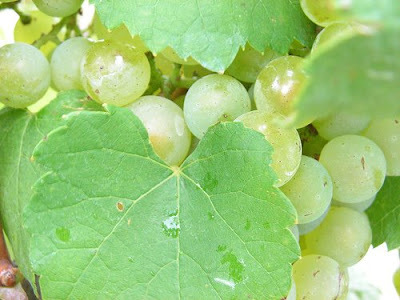 When it is complete, all the natural sugar in the grapes is used up. However, the resulting wine tastes so dry as to be undrinkable. Now, the yeast must be encouraged to move towards the cork so that it can be removed. 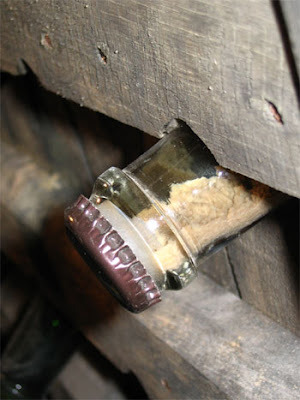 This is done by storing the bottles with the cork downwards and letting the yeast settle. 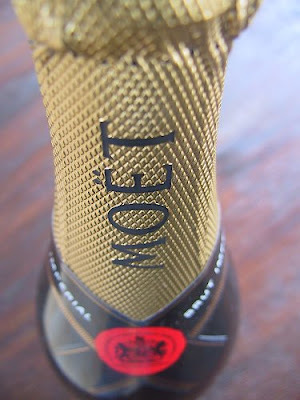 The bottles are regularly shaken gently and turned to encourage the yeast to move downward onto the cork. This process is known as remuage, or riddling. Thereafter, the problem is how to remove the big lump of yeast from the end of the bottle. The ingenious method by which this is done is to freeze the neck of the bottle into the freezing brine. So that the wine in the neck turns into ice, and the yeast is trapped in it. The cork is then popped. 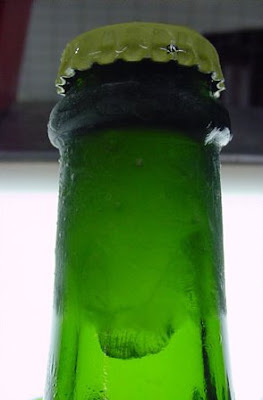 The pressure of the fizz pushes the ice out with the yeast encased in it. This process is known as dégorgement. The Sparking Wine is now tested for dryness - it is still far too dry to drink. Since some wine is lost along with the yeast, the bottle is topped up with a mixture of sweet white wine and sugar. The amount of sugar that added will dictate the sweetness level of the Sparkling Wine. After topping up, a new cork is put in the bottle, i.e. a wonderful Sparkling is made! Many people credit Dom Pérignon, a famous old monk with the discovery that wines could be made fizzy by the second fermentation in a bottle. However, it was an Englishman scientist and physician, Christopher Merret who discovered this. If Dom Pérignon is to be credited for anything, it should be the introduction of the cork stopper, an event in which he did play a role.